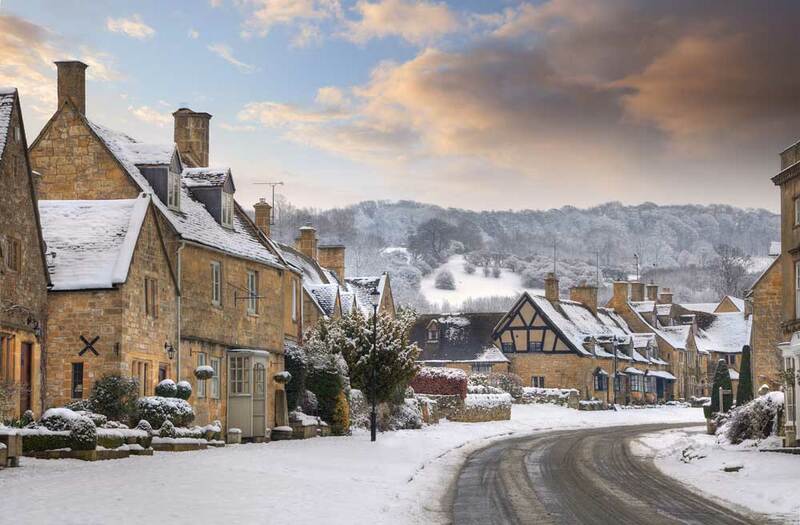 Broadway Cotswolds is named after its wide central street, boarded by fine green chestnut trees and an amazing array of beautiful Cotswolds stone houses dating from the 17th and 18th century. It probably benefited from the wool trade of the medieval era but its real prosperity came form the coaching era when in 1736 an old turnpike road south to Snowshill was replaced by a new road up Fish Hill. From this time on a large amount of traffic made use of Broadway as a rest stop on the journey between London and Worcester. At it’s busiest there were no fewer than 33 coaching Inns lining the high street providing refreshment for weary travellers, the most famous being the Lygon Arms which still remains to this day. The opening of the London-Worcester Railway led to a quiter period around 1856 but the area soon became popular with prominent Victorians such as William James, who stayed at Broadway Tower- JM Barrie, Henry James, William Sargeant, Mary Anderson and Frank Millet who in turn brought wealth and prosperity to the area also helped to resort its old houses to their prior glory. Well worth a look around the shops on the high street, a wander up the quieter Upper High Street and a visit to the Norman ‘Old Church’ of St Eadburgha. Church of St Eadburgha– set just outside town on the road to Snowshill this wonderful 12th century church is well worth a visit and its interior is remarkably unspolit containing medieval and Jacobean woodwork. 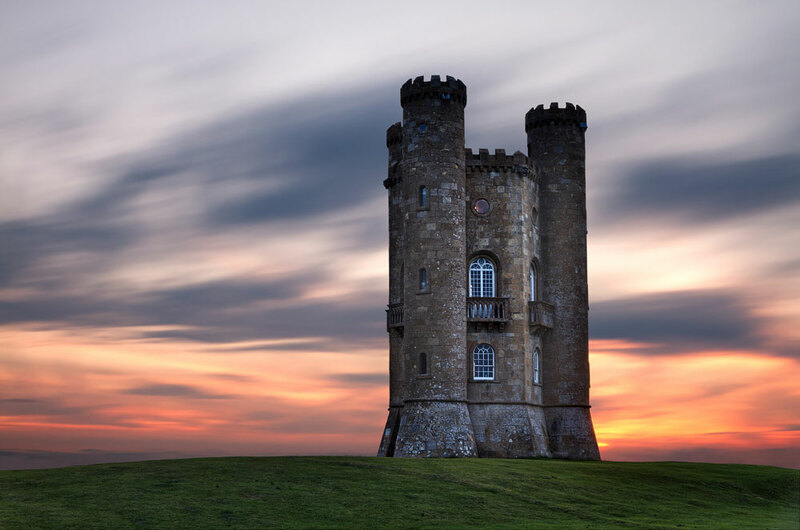 Broadway Tower– the highest building in the Cotswolds and built in 1798 by the 6th Earl of Coventry for the homesick Lady Coventry who wanted to have somewhere she could see here hometown of Worcester from. On a clear day if affords panormic views of unto 16 counties! Gordon Russell Design Museum– Located in the original workshop, the Museum celebrates the life and work of Gordon Russell and his Company over a period of sixty years in Broadway, Worcestershire. Its unique collection of furniture embraces a range of styles spanning this rich period of design: from the Arts and Crafts to 30s streamline Modernism; Utility Furniture to 1980s luxury post modernism. The Lygon Arms- decent food in a traditional pub rich in history- Oliver Cromwell stayed here before the decisive battle of Worcester in 1651 and Charles I also used The Inn to meet his supporters. Russell Fish and chips- classy fish and chips- possibly the best in the Cotswolds? Rose and Crown- unpretentious traditional fare and traditional real ale in this lovely village pub. Why not visit Broadway Cotswolds and other pretty Cotswold villages on one of our driver-guide or cycling Tours of the Cotswolds?